Norwegian Cruise Line Reviews - What do you think of freestyle or NCL? As you may have figured, so far, this is our favorite cruise line. Norwegian offers the only true freestyle program on the seas right now. I have found that people either LOVE it or Hate it - What about you? Do you love NCL? 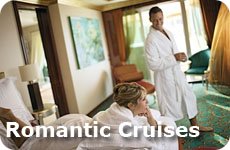 Or is freestyle cruising just not for you? 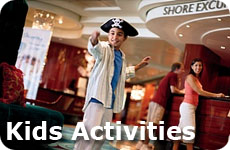 Have you been on a NCL cruise and want to share your experience? Did you enjoy Norwegian and freestyle cruising? Please share with us your experience. After you have left your entry, read the suggestions below it from other visitors. If you agree or disagree leave a comment, everyone had something to add! Who travelled with you - i.e. family or romantic cruise? How long was the cruise? What did you love about it? or not like about it? Did you like Freestyle? If you did - why? If you didn't - why not? Please upload a picture too - reviews are always more helpful to others when you add a picture. Please ensure that you give us as much information about your trip as possible, so other visitors can get a good idea of what you liked and didn't like. Have you been on other cruises? Add your ship reviews here. What do you think about NCL and Freestyle Cruising? It's your turn to tell us what you thought of your NCL Freestyle Cruise Experience. I would like to hear the good and the bad! Please politely share it all! 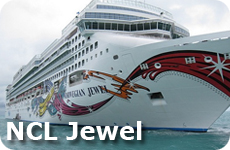 Which NCL Ship did you Cruise on and What Was Your experience? Include who you traveled with, your itinerary, length of cruise and what you loved and what you hated about your trip! Do you have a picture to add? Great! Our visitors would love to see it!